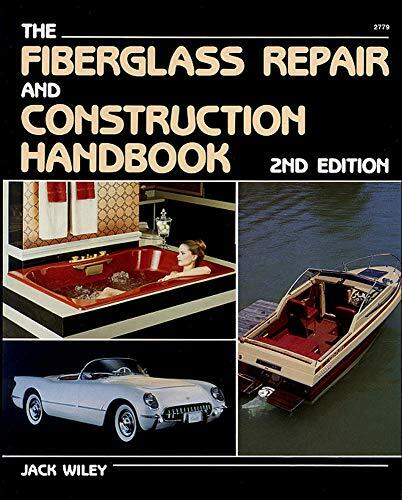 Fiberglass Facts; Materials; Tools, Equipment, Supplies & Work Areas; Health & Safety; Care & Maintenance of Fiberglass; Working with Cured Fiberglass; Fundamentals of Fiberglassing; Molding Methods Used in Manufacturing; Structural & Assembly Concepts & Practices; Repairing Fiberglass; Repairing Other Materials with Fiberglass; Covering Wood with Fiberglass; Auto Body Repair & Customizing; Fiberglass products in Kit Form. Pub. 1988. Step-by-step instructions cover everything from safety precautions to materials selection to the final lamination process. Practice exercises offer hands-on experience for with glass cloth, mat, core materials, and resins. Information is provided on molding, structural concepts, and the caring for cured fiberglass. 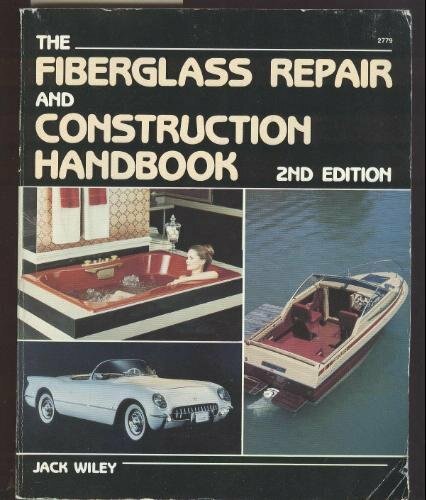 There is even a list of suppliers, repair techniques for materials other than fiberglass, and a complete section on covering wood with fiberglass. "...describes the strength, durability and lightness of fiberglass, while exploring a great many of its astonishing number of applications." -- Wright Publishing Co.
Jack Wiley is an experienced craftsman and the author of several TAB books including The Fiberglass Boat Handbook, Working with Fiberglass: Techniques and Projects, and Making Your Own Exercise Equipment.